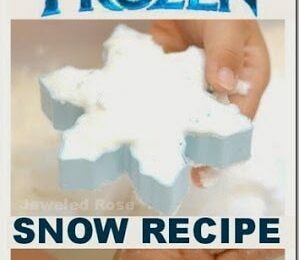 All of your Frozen fans will love this fun kids activities based on this popular movie! 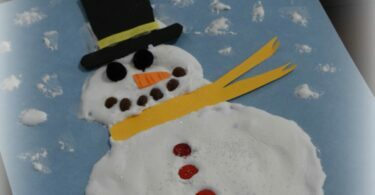 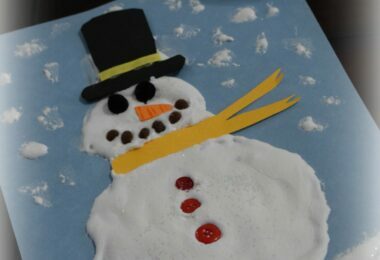 Here is a really fun kids activity for winter. 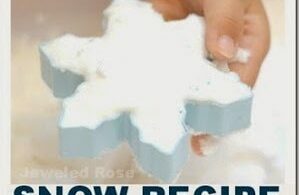 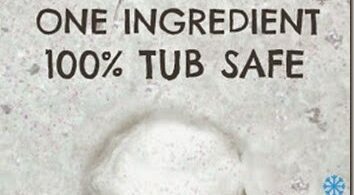 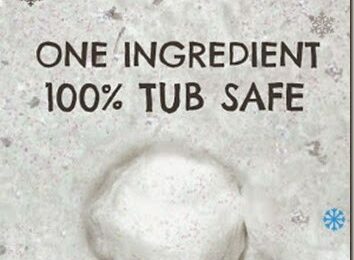 Make “snow” for bathtub play with just a few ingredients! 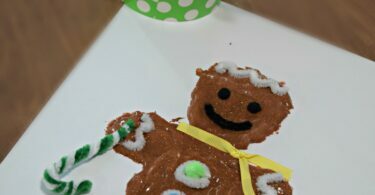 This Amazing Puffy Snow Paint recipe is perfect for creating spectacular winter snowman scenes with children of all ages. 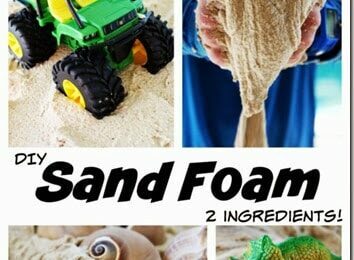 Get ready for fun playing with homemade sand foam recipe! 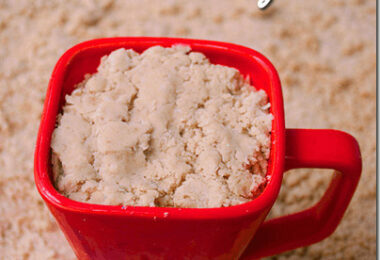 Toddler, Preschool, and Kindergarten age kids especially will love this recipe for play. 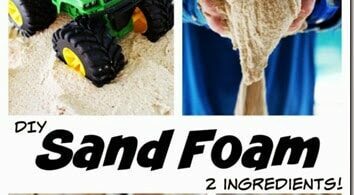 I love fun sensory play recipes! 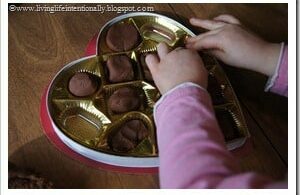 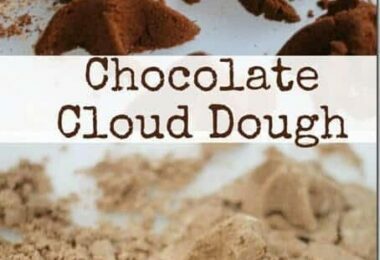 Here is an amazing Chocolate Cloud Dough Recipe Perfect for some Valentine’s Day fun! 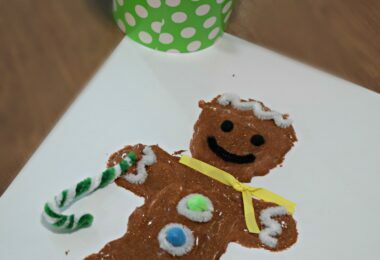 Your kids will love painting with this super cool Gingerbread Puffy Paint Recipe for a December kids activities. 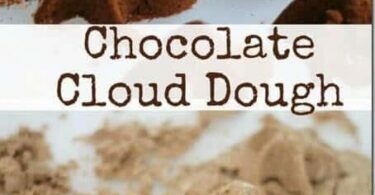 Kids will love playing with this yummy Cocoa scented cloud dough! 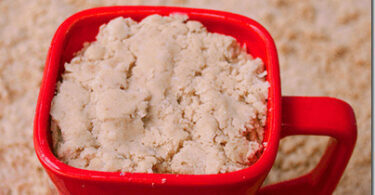 Kids will love this scented Pumpkin Rice for fall sensory play. 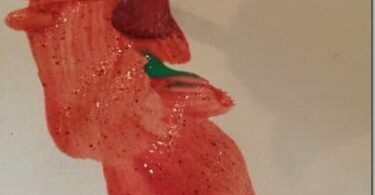 Find out the simple way to make fall scented paints your preschool child will love using to create fall artwork. 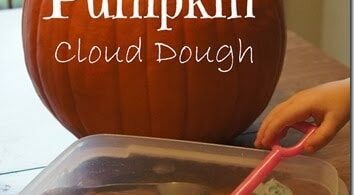 Come take a peak at our easy, peasy Pumpkin Cloud Dough Recipe that is fun to play with and quick and easy to clean up and eat!